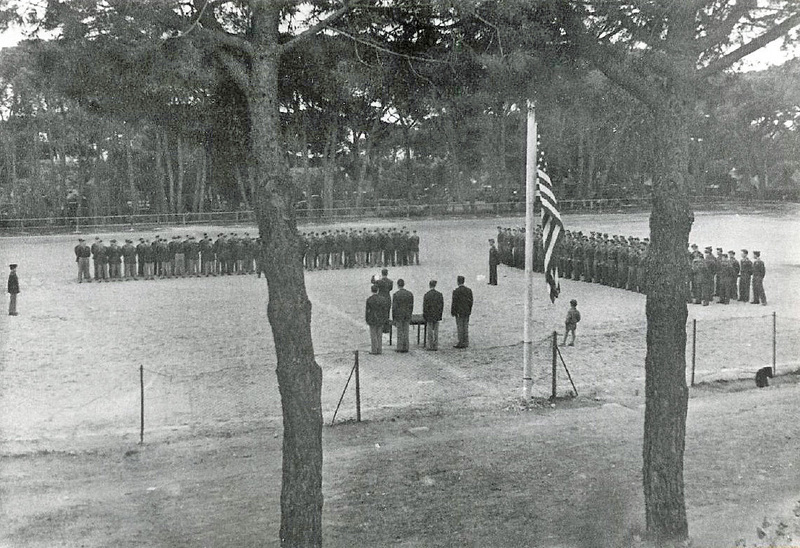 The 885th BS and 859th BS are assembled at the Parade Grounds, which doubled as a ball field, to receive the Presidential Unit Citation for the February 17th/18th mission. Officers are to the left in the photo, enlisted men on the right. Castiglioncello, Italy. April 1945.